Looking north on Main Street from near the corner of Dwight Street in Holyoke, around 1891. Image from Holyoke Illustrated (1891). The first photo shows a row of late 19th century buildings along the east side of Main Street, looking north from near Dwight Street, toward Mosher Street. The buildings represent a mix of architectural styles, but the one that stands out the most is the large, highly ornate Romanesque-style Whiting Street Building in the center of the photo. It was built in 1885 at 32 Main Street, and was owned by the estate of Whiting Street, a prominent Northampton philanthropist who had died a few years earlier in 1878. Around the same time, he also became the namesake of the Whiting Street Reservoir, which opened at the base of Mount Tom in 1888, on land that Street had once owned. One of the early tenants of the Whiting Street Building was the American Pad and Paper Company, which had been established here in Holyoke in 1888 by Thomas W. Holley. The company, which later came to be known as Ampad, built its business around purchasing scraps from the city’s many paper mills, which were then bound into notebooks and sold at competitive prices. 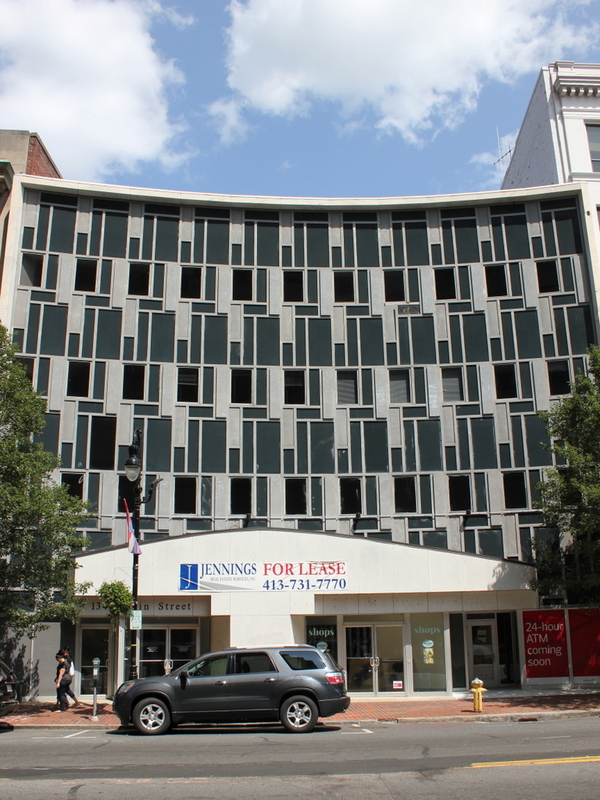 In the process, Holley is said to have invented the first legal pad, a development that, if true, likely would have occurred here in this building. Early on, American Pad and Paper occupied three rooms here at 32 Main Street, and eventually expanded to eight rooms. 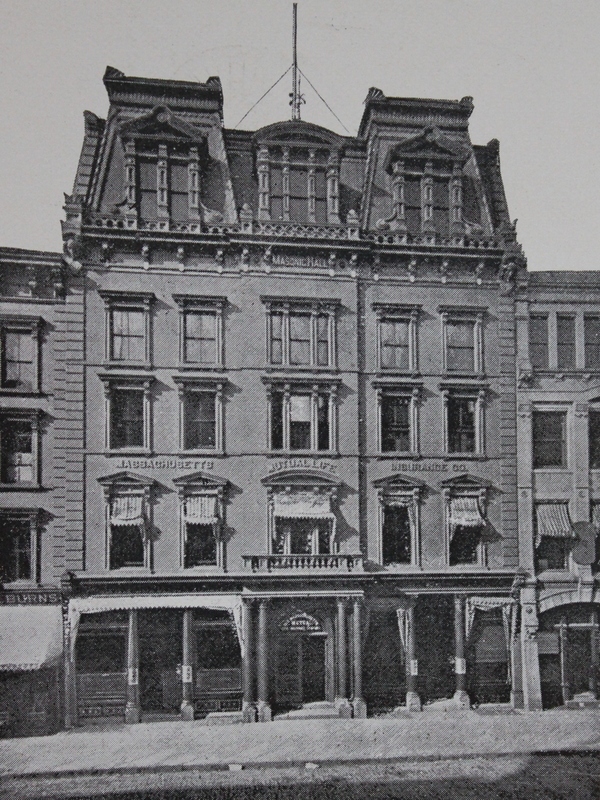 The company was here when the first photo was taken in the early 1890s, but around 1895 it moved into a building of its own, at the corner of Appleton and Winter Streets. Over the years, Ampad would go on to become a major producer of pads and other office supplies, and it ultimately outlived nearly all of Holyoke’s other paper mills. The company is still in business today, although not in Holyoke. It is now headquartered in Texas, and it closed its last Holyoke facility in 2005. 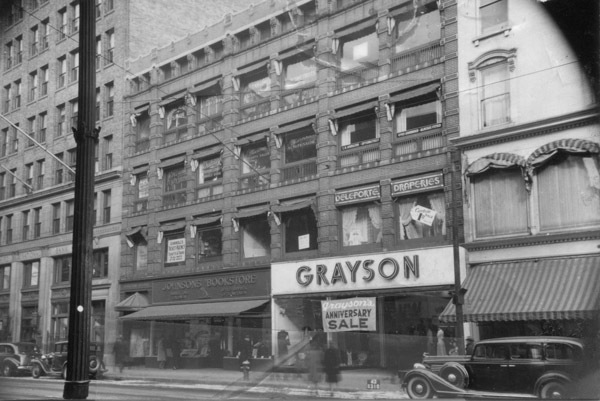 In the meantime, this building here on Main Street was subsequently occupied by another writing pad company, the Whiting Street Ruling and Stationery Company. Around 1901, it was renamed the Affleck Ruling and Stationery Company, and was described in a 1905 advertisement in the city directory as “Manufacturers Paper, Pads and Tablets, Paper Rulers and Printers. Mourning Cards and Fine Cards for Engravers.” The company remained here until around 1907, but by the following year it had moved to a new location at 18 North Bridge Street. 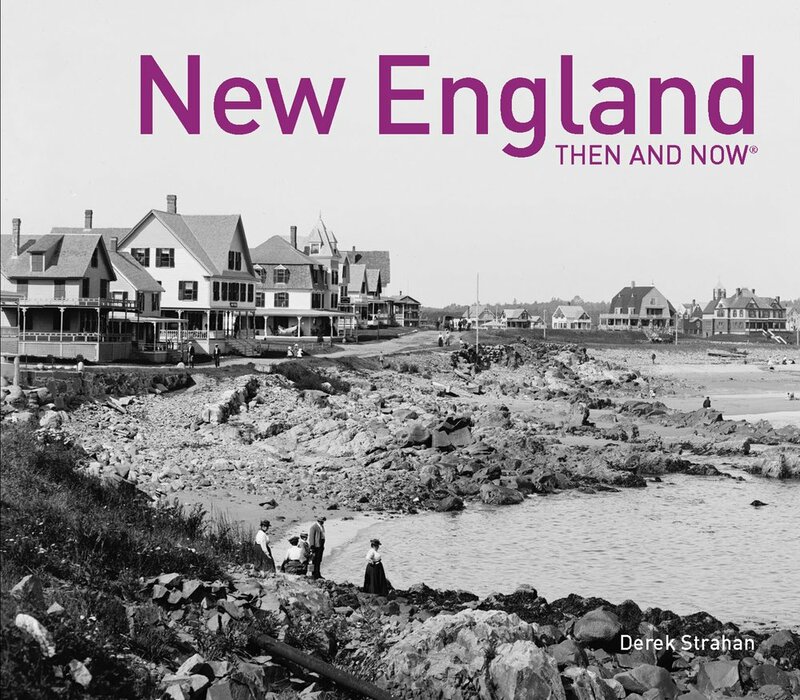 Today, more than 125 years after the first photo was taken, none of the buildings from that scene are still standing. The one on the far right was likely the first to go, and was replaced by the present-day building at some point during the early or mid-20th century. Most of the other buildings survived until at least the 1970s, although the Whiting Street Building was destroyed in a fire in 1977. The ones further in the distance were still standing a year later, when they were inventoried as part of the state’s MACRIS database of historic resources, but they have since been demolished, leaving only vacant lots where they once stood. The view looking east from the Bridge Street bridge over the Second Level Canal in Holyoke, around 1891. Image from Holyoke Illustrated (1891). 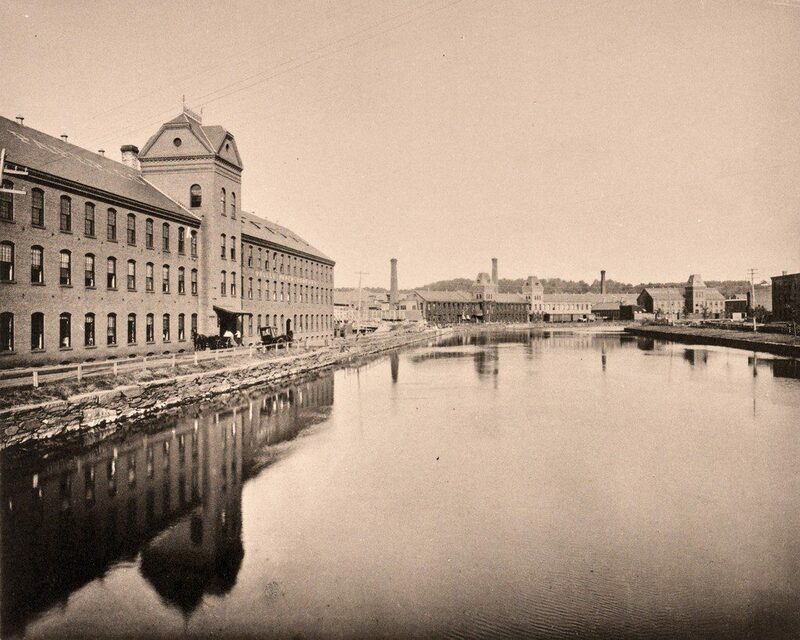 The first photo was taken during the height of Holyoke’s prosperity as a manufacturing center, and it shows a group of paper mills that lined the Second Level Canal on the eastern side of the city. Holyoke, which came to be known as “Paper City,” was one of the world’s leading producers of paper during the late 19th and early 20th centuries, with around 25 companies producing a variety of paper products by the 1890s. 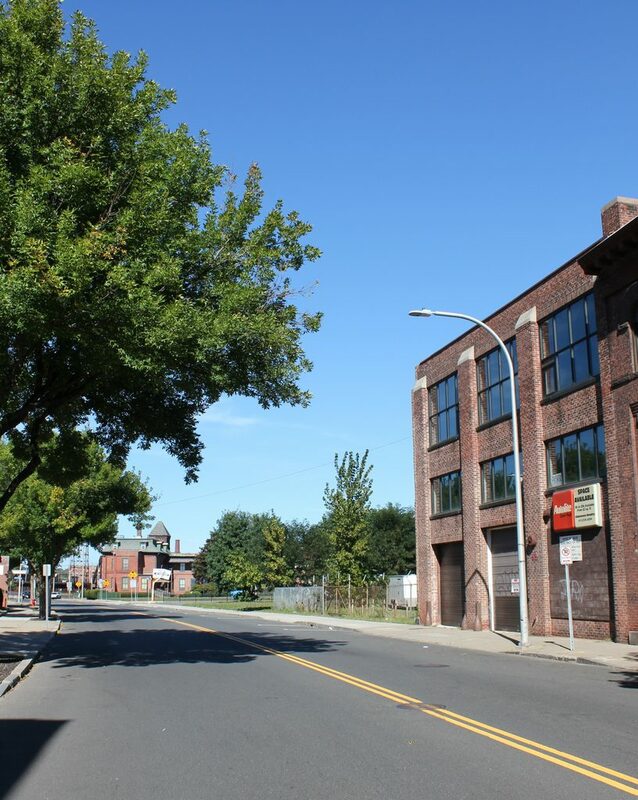 This industry, along with the equally-important textile mills in the city, helped make Holyoke a major destination for immigrants seeking work, and resulted in a dramatic increase in population during the second half of the 19th century. Probably the oldest building in this scene is the one on the far left. The earliest part of the mill was built around 1864, but it was subsequently expanded in 1877. For many years it was operated by the Valley Paper Company, and produced fine writing paper and envelope paper. In the distance, in the center of both photos, was the Albion Paper Company. This mill complex was built in the late 1870s and early 1880s, and produced book paper. Further to the right was the Syms & Dudley Paper Company, whose mill was built around the same time as the Albion mill. In 1899, less than a decade after the first photo was taken, Holyoke’s Paper industry underwent some major changes. By then, many American industries had begun consolidating into trusts, in order to control large segments of their respective markets. Among the most notorious were monopolies such as Standard Oil and U. S. Steel, but paper manufacturers also established a trust of their own, with the formation of the American Writing Paper Company in 1899. 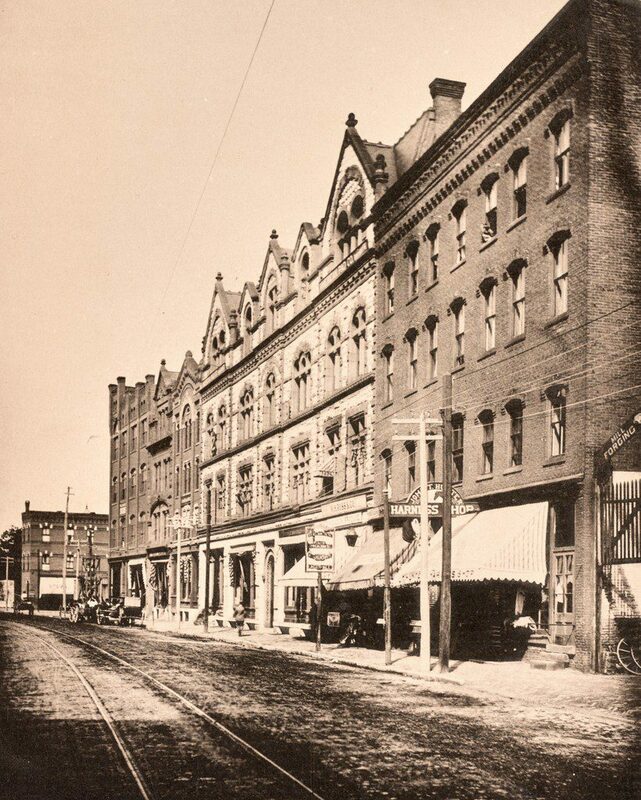 The new company was headquartered nearby, at the corner of Main and Race Streets here in Holyoke, and at one point it controlled around 75 percent of the country’s fine writing paper. Many of Holyoke’s paper companies were consolidated into the American Writing Paper Company, including the Albion Paper Company. The Mt. Tom Paper Company, which had acquired the former Syms & Dudley mill on the right side of the photo, was also involved in the merger. Both of these mills, along with the other ones acquired by the trust, retained their names, but were operated as divisions of American Writing Paper. 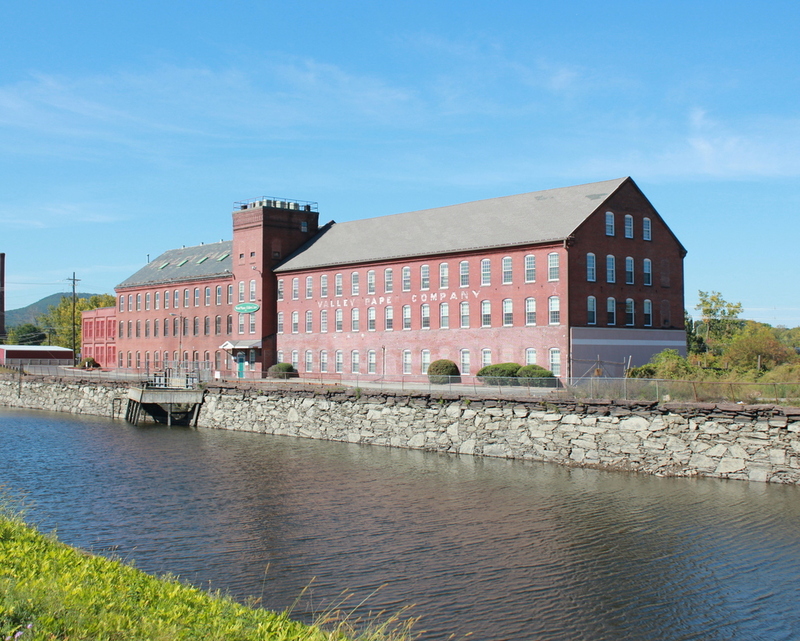 However, not all of Holyoke’s paper mills joined the trust, including Valley Paper on the left side of the scene, which retained its independence and continued operating for many decades. 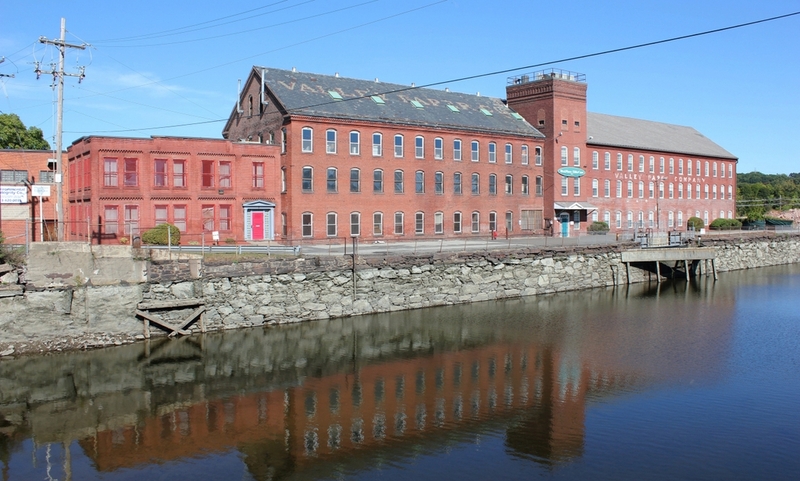 Holyoke’s paper industry thrived well into the 20th century. However, by mid-century manufacturing was in decline across the northeast, as companies struggled with aging factory buildings and increased competition from overseas and elsewhere in the United States. The paper industry was no exception, and Holyoke’s various companies steadily closed or relocated. American Writing Paper, which had been plagued by years of mismanagement and labor troubles, was finally liquidated in the 1960s, and Valley Paper Company also closed during the second half of the 20th century. 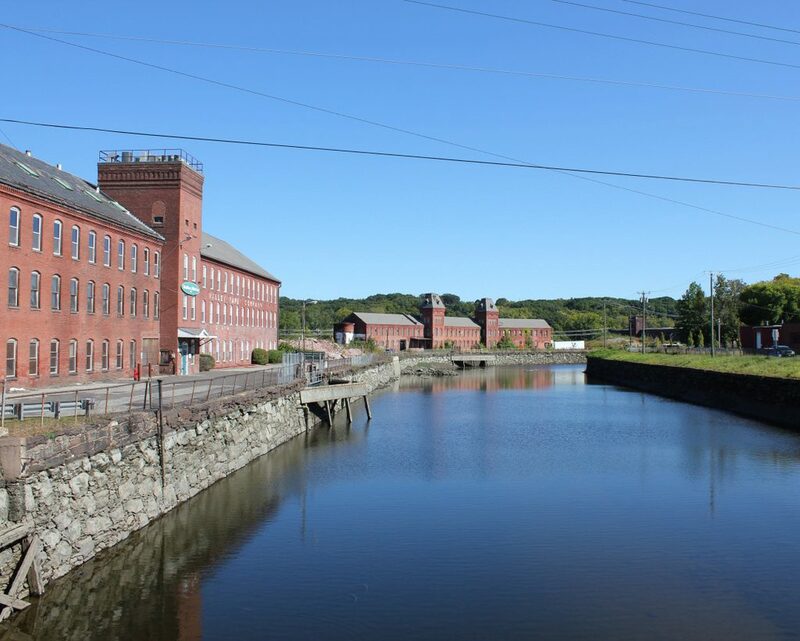 Despite these changes, though, many of Holyoke’s former paper mills are still standing, although some have been vacant for a number of years. The former Valley Paper mill was partially demolished in the 1980s, but the surviving sections were restored and redeveloped. Further in the distance, both the former Albion and Mt. Tom mills were recently sold to a developer, and have been in the process of being deconstructed, in order to salvage the building materials. However, the Mt. Tom mill caught fire in 2012 while being dismantled, and the ruins were subsequently demolished. Some of the Albion mill complex has also been dismantled, although the front part of the building was still standing when the first photo was taken in 2017. The Valley Paper Company, seen from the bridge over the Second Level Canal in Holyoke, around 1910-1915. Image from Illustrated & Descriptive Holyoke Massachusetts. This view shows the same building as the photos in the previous post, just from a different angle. As mentioned in that post, the Valley Paper Company was established in the 1860s, and was one of the many paper mills that were located in Holyoke during the 19th century. The original mill building, completed in 1864, was much smaller, and apparently consisted of just the three-story section to the left of the tower. However, as production increased, so did the size of the building, and it was expanded in 1877, with an addition that evidently included the tower and the section to the right of it. The two sides of the building have very similar architecture, and at first glance they appear to be symmetrical, but the right side is actually longer and has a slightly different shade of brick when compared to the right side. The Valley Paper Company remained in business for many years, but it eventually suffered the same fate as most of Holyoke’s other once-prosperous industries. It closed during the second half of the 20th century, and in 1981 the property was acquired by the city. 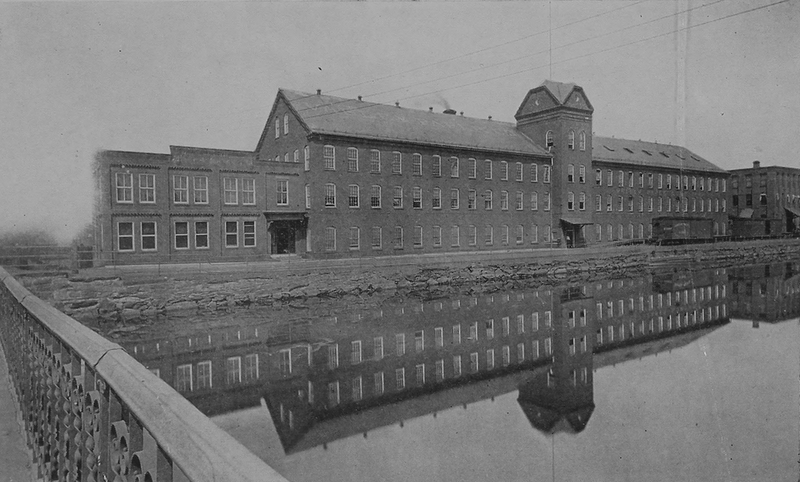 The rear sections of the mill, not visible in this scene, were then demolished, but the front of the building was preserved and renovated, and it is one of the many historic factories that still line Holyoke’s canals. It still bears the name of the Valley Paper Company, which is written in slate on the left side of the roof and painted on the wall on the right side of the building, but it now houses several different tenants. These include West Mass Elder Care, whose green sign is visible on the central tower. 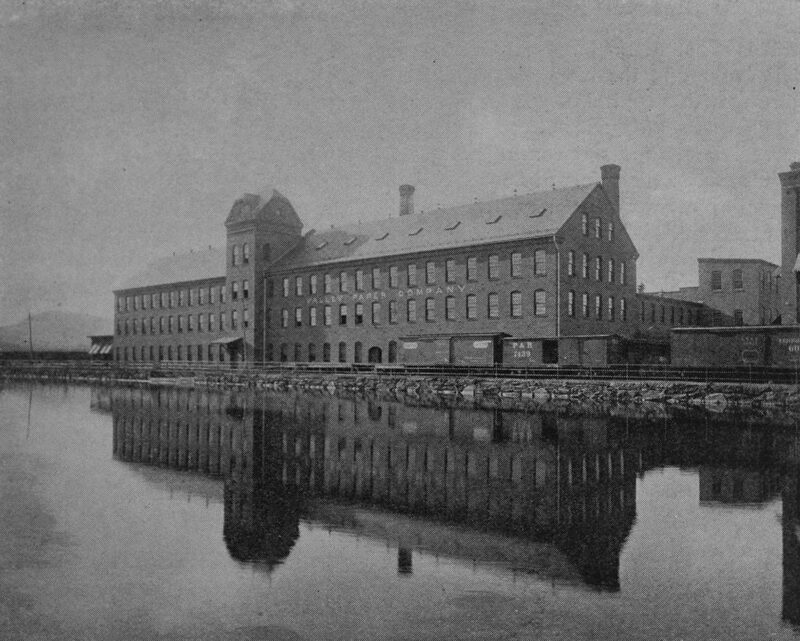 The Valley Paper Company, seen from across the Second Level Canal in Holyoke, around 1892. Image from Picturesque Hampden (1892). The Valley Paper Company was one of the many paper manufacturers that were located in Holyoke during the late 19th century. It was founded in the 1860s by David M. Butterfield, who had previously worked for the Parsons Paper Company, and in 1864 the company’s first mill building was completed here on this site. However, the facility was subsequently expanded in 1877, increasing its capacity to two and a half tons of fine writing and envelope paper per day. The two sides of the building have slightly different shades of brick, and it appears that the section to the left of the tower was built in 1864, while the tower and the right side were apparently built in 1877. The first photo shows the paper mill about 15 years later, around 1892. In the foreground is the canal, which provided the water power for the mill, and directly in front of the building is a row of boxcars, which were presumably used to haul away the various finished paper products. 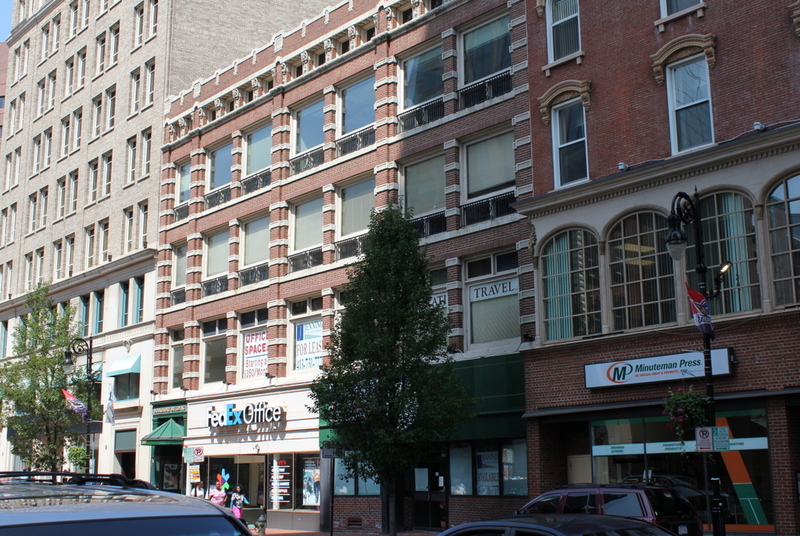 Later in the 1890s, many of Holyoke’s paper companies were merged to form the American Writing Paper Company, which was headquartered nearby at the corner of Main and Race Streets. However, the Valley Paper Company retained its independence, and remained in business here in Holyoke for many years. 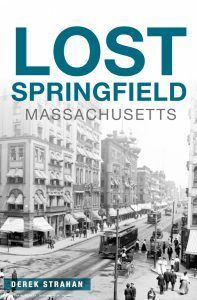 Holyoke’s paper industry remained prosperous into the 20th century, but by the second half of the century it was, like most other industries in the northeast, in serious decline. The Valley Paper Company eventually closed, and in 1981 the property was acquired by the city. Much of the mill complex was then demolished to provide parking, but the section facing the canal was preserved and redeveloped. Today, not much of the exterior has changed, aside from the loss of the top of the tower. The building even bears the name of its original owner, which is still painted on the right side of the building and written in slate tiles on the roof of the left side.